This should be a treat for Joe Satriani fans. 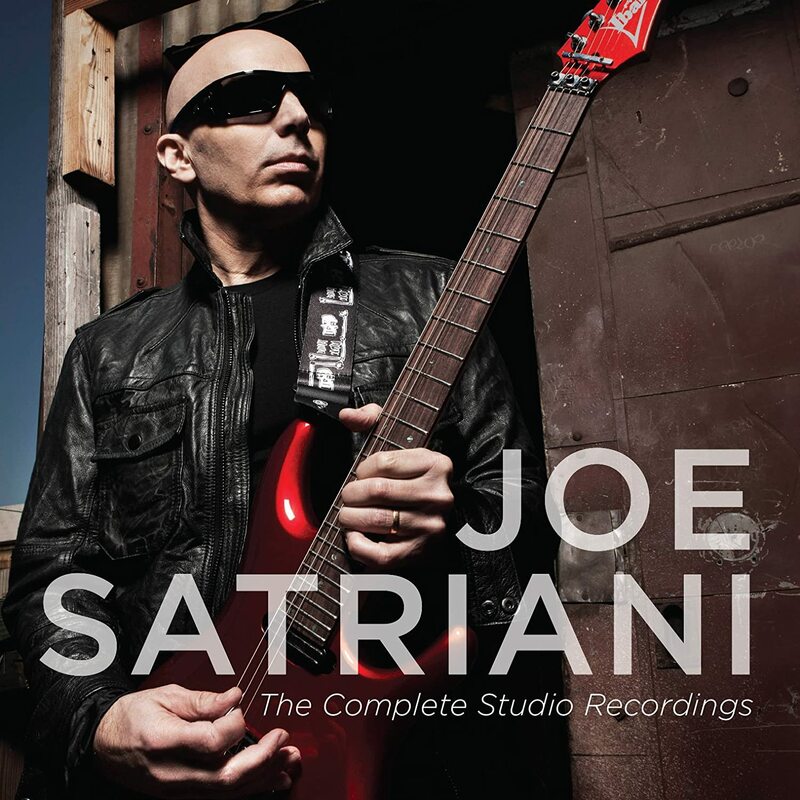 For the first time, all of Joe's albums will be compiled in the new Joe Satriani: The Complete Studio Recordings, a 15 CD library box set due out on April 22nd via Legacy Recordings. All recordings are brand-new digital masters, overseen by Joe, with each CD packaged in a replica cardboard jacket. Joe's autobiography Strange Beautiful Music: A Musical Memoir is also due to come out this April. Joe Satriani: The Complete Studio Recordings will also be available as a collectible limited edition USB drive exclusively on http://www.satriani.com/splash. All 14 of Joe Satriani's landmark studio albums are included in the new collection alongside "Added Creations and Bonus Tracks," a newly-curated anthology disc of rare compositions and performances falling outside the purview of Satriani's official album canon, and Surfing With The Alien. Joe Satriani said: "When the good people at Legacy approached me with the idea of a comprehensive box set featuring my studio recordings in their entirety, plus bonus tracks, all re-mastered, I answered with a resounding, 'YES!' The only person who could pull this all together logistically and sonically was mastering engineer John Cuniberti. John and I have recorded quite a bit of music together going way back to the early '80s. I've made more records with John engineering and co-producing than anyone else, so, who better to help me put this box set together the right way? His attention to detail has made this project exciting, illuminating and ultimately awesome sounding." How much i will cost 200 dollars, 300 euuros 3000 kroner? 20 million italian liras (in old days)? Does anyone have a list of bonus songs included?